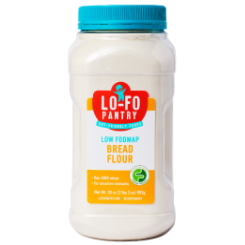 View cart “Lo-Fo Pantry All Purpose Flour 1kg” has been added to your cart. 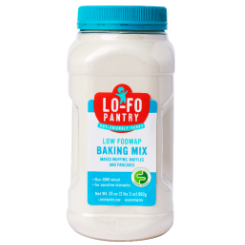 Lo-Fo Pantry Baking Mix is perfectly versatile and delicious, a go-to ingredient for all kinds of convenient baking including waffles, pancakes and muffins. 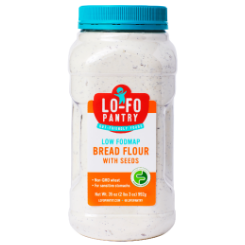 Lo-Fo Pantry Baking Mix is made with 100% GMO-free wheat, and goes through an all-natural, chemical-free, wet extraction process to remove FODMAPs. Find some scrumptious baking inspiration from the recipe section of our website. 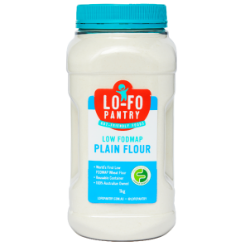 All recipes are certified Low FODMAP by the FODMAP Friendly organisation.